Unilock is a leading manufacturer of beautiful yet durable concrete pavers, landscape walls and fire features. On March 30th Scott Green, a Territory Manager from Unilock, stopped by Trowel Trades Supply and gave an excellent presentation on Unilock’s new products, easy-to-use design software, and innovative new catalog. One significant highlight of the presentation was Unilock’s innovative new catalog. What makes this new Unilock catalog so unique from other catalogs is the way that it is organized. The catalog is broken up into 4 separate sections. Each section serves a particular purpose. The first section is titled “Dream.” The Dream section is packed full of design ideas and inspirational photos of driveways, walkways, entrances, patios, pool patios, outdoor kitchens, and outdoor living areas. This section is great for seeing photos of various Unilock products fully installed and the type of setting and ambiance that they create. 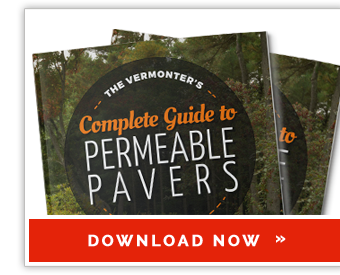 The second section is titled “Learn.” The Learn section reviews the basics of how to construct a base for outdoor pavers and outdoor walls, and what materials are needed. This section also covers the various technologies that are used for the different types of Unilock pavers. The last part of the Learn section pertains to maintenance, care, and keeping your pavers and outdoor walls looking new for years to come. The third section is “Plan.” This section is a fantastic resource with topics that most other catalogs do not cover, such as tips on how to go about choosing a contractor. This section also covers different considerations to take into account when designing an outdoor living area, pool area, driveway, entrance and other landscape projects. The Plan section also reviews factors to consider when choosing a product as well as tips for managing a project. The fourth and final section, which is titled “Select,” is a list of Unilock’s various product offerings. Even the index in this catalog is uniquely innovative. Not only does the index list all of Unilock’s products in alphabetical order, but it also enables the reader to look up subjects by topic, such as Borders and Banding, Coping, Edge Restraint, Environmental, Excavation, Joint Material, Permeable Pavers, Sealing, 3D Design, and many more. View the Unilock 2017 Design Idea Catalog Here. A very exciting topic that Scott covered during his presentation was Unilock’s user-friendly 3D design software. Unilock’s 3D design software is an enormously helpful tool, especially when considering different designs for the same project. From visualizing, to choosing, to rearranging numerous options, Unilock’s 3D design software makes planning fun and simple. It is quite impressive just how much the 3D renderings of a patio resemble an actual photo of the project after the project has been completed! 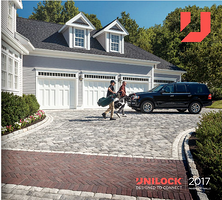 By far, the most fascinating new product that Unilock has introduced this year is their Drive Grid System for driveways. Their Drive Grid System with Tensar TriAx Technology is inexpensive and easy to install. By using the Unilock Drive Grid System, contractors can reduce the thickness of their base preparation by up to 50%. This means less excavating, disposal, grading, and compacting, which can amount to a huge time and cost savings. Unilock’s Drive Grid System has been tested by the U.S. Army Corps of Engineers. Unilock’s Territory Managers Scott Green and Dan Rhault are very dedicated representatives for Unilock. They are always willing to assist sales staff, contractors, architects, and homeowners in any way they can. They are a true asset for Trowel Trades Supply and our customers. If you would like to learn more about Unilock’s new products and innovations for 2017, contact Trowel Trades Supply today.